Kids Paintball Games - Kids Paintball Party Fun! 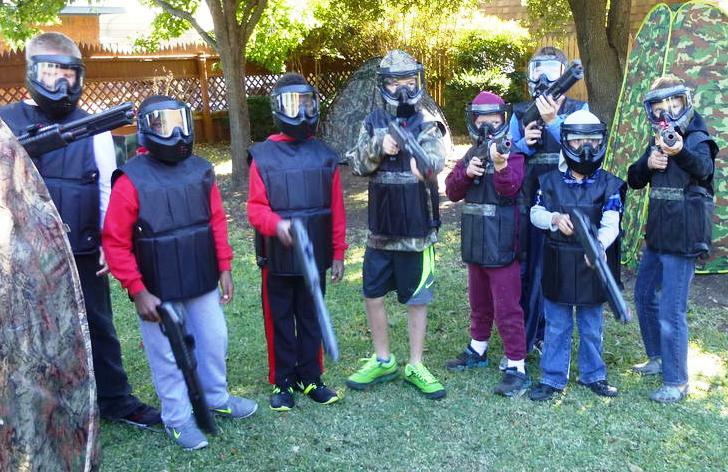 Have a kids paintball party, for ages 6 and up in the Dallas / Fort Worth area. 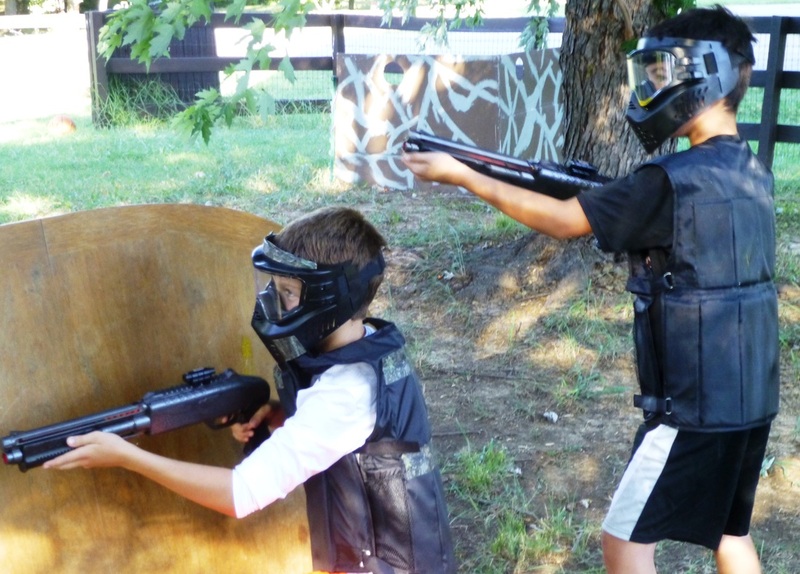 We bring the fun to you with our mobile low impact kids paintball games. Our customized markers (guns) come complete with SWAT style laser sights (great for evening games) are spring loaded and shoot smaller paint balls at half the speed as regular paintball, they don’t leave welts or bruising, it’s like being flicked with a rubber band, which means finally there is paintball for kids without all the pain. Now with our mobile paintball games younger children get to join in on the action for some real paint ball fun. So much better than a kids video game party truck instead of sitting in front of a video screen you get to be part of the action and get some healthy exercise too. Our backyard paintball games can be played day or night, all you need to play is an area 50’ by 30’ or larger, we supply the rest; the guns, paint balls, safety gear, barriers to hide behind and party host / referee. Check out the rest of our site and when you are ready to have the best kids paintball party fun ever click here to call us with questions or to book a party. Not just for birthday parties either great for family gatherings, youth groups, sport teams etc.